One of the most appealing aspects of Twitter is the ability for real-time interaction and this often leads to an increased volume of tweets during TV shows, concerts and most commonly sporting events. This idea is reinforced by the social interaction that took place during February’s NFL Superbowl, the event created such a vast amount of tweeting that it led to an unprecedented number of tweets per second. During the match between the New York Giants and the New England Patriots, a staggering 12,233 tweets were made per second and even Madonna’s half time show managed to generate in excess of 10,000 tweets each second. 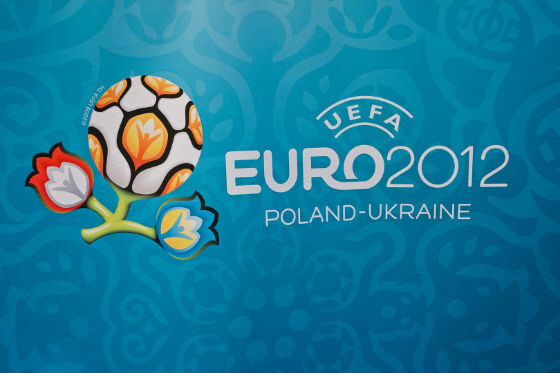 This year’s UEFA European Championships, which concluded on Sunday of last week, are an excellent example of how sporting events can lead to greater interaction on social platforms and this predominantly takes place on Twitter. The tournament, which takes place once every four years and creates a great deal of excitement and anticipation, achieved a total of approximately 11,900,000 tweets between the opening and closing ceremonies. Spain won the tournament in convincing fashion with a 4-0 win over Italy in the final and understandably the Mediterranean nation received the most mentions, with a total of 873,000 Spain related tweets during the competition. Surprisingly England were the nation with the second highest number of tweets, despite the fact that they exited the tournament at the quarter-finals stage. Media expectations and the shock of finishing top of a difficult group led to great optimism about England’s chances for the rest of the tournament and the national team received a total of 849,000 tweets. Several individual players received a monumental amount of tweets during the competition for the Henri Delaunay Trophy, Cristiano Ronaldo and Italy’s eccentric striker Mario Balotelli led the way with 267,715 and 213,127 mentions respectively. Despite only playing for 188 minutes in the entirety of the tournament, Spain’s Fernando Torres received in excess of 188,000 tweets as his 88th minute goal in the final ensured that he won the Golden Boot for Euro 2012. With a number of fine goals being scored during the tournament, it is no surprise that goals were the key talking point of the tournament on Twitter and by the end of the tournament there was a total of 457,605 tweets on the goals scored. It is likely that the London 2012 Olympic Games will receive a similar amount of discussion via social media and it will be extremely interesting to see where this interaction happens and the topics that will be discussed.